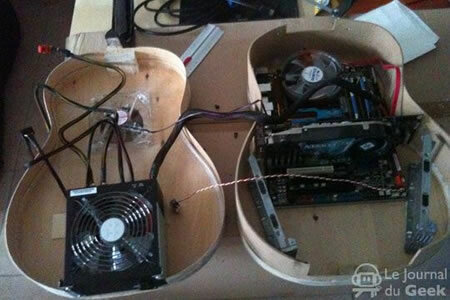 French tech site Journaldugeek user Joss is an avid PC modder. 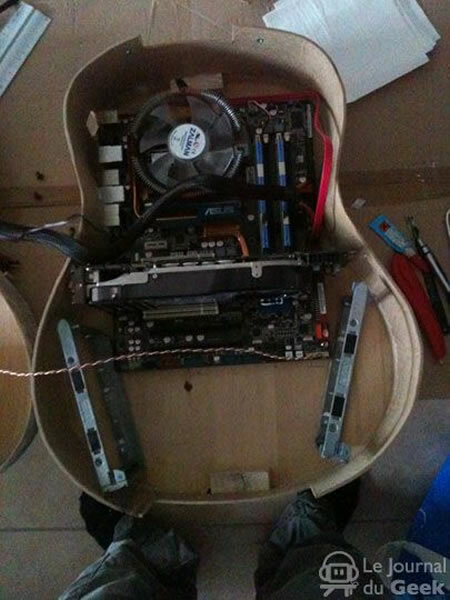 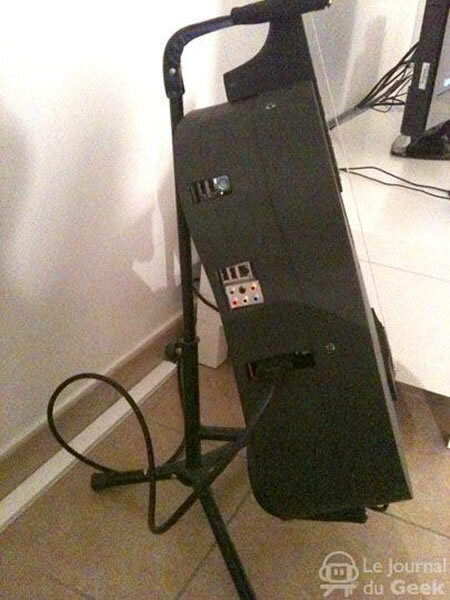 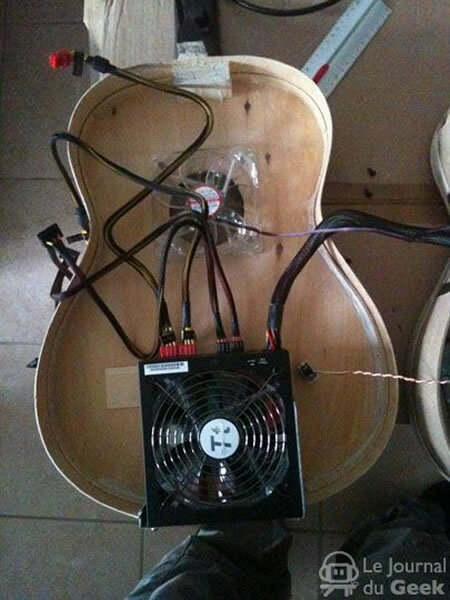 He has manged to squeeze in a Intel Quad Core Q6700, Asus motherboard, 4 Gigs of RAM, 80GB raid, a MSI 8800 GTX graphics card and a 650W PSU Thermaltake Blue Evo power supply in a low range Ibiza guitar. 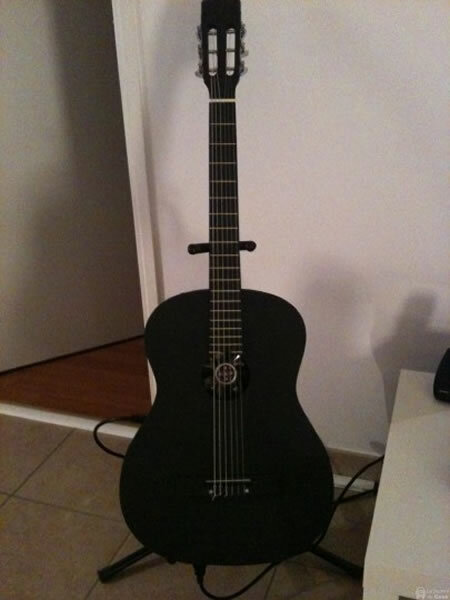 The specifications are not impressive but the Guitar surely is.